Unique System FZE, a Unique Maritime Group company which is one of the world's leading integrated turnkey subsea and offshore solution providers is awarded a certificate of appreciation and a memento by His Excellency the Director General of Dubai Municipality. "We are happy to award Unique System FZE with a certificate of appreciation in recognition of their fruitful efforts and constant cooperation for maximum utilization of all available possibilities to support the municipal services and activities" saidMrs. Eman Ahmed Al Khatibi Al Falasi, Head of Survey Section at Dubai Municipality. Unique System FZEhas completed many projects for Dubai Municipality including Supply, commissioning & maintenance support of offshore data buoy, Supply & installation support of seabed tide stations for measurement of offshore tides, Supply, Installation & Maintenance of road-side weather stations with centralized data acquisition & establishing models for visibility & weather forecasting , Upgrade & maintenance support of coastal tidal-met stations and currently establishing a permanent tide gauge station in Dubai. 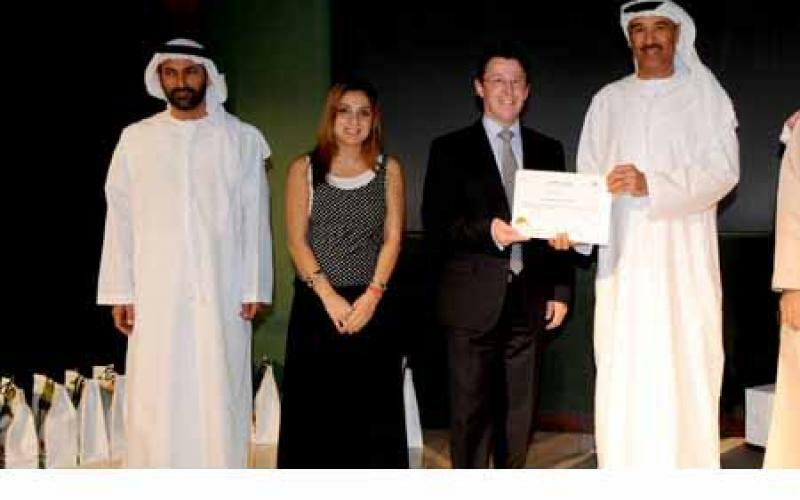 On this occasion Ian Huggins, General Manager of Unique System FZE commented "We are very pleased to be included in Dubai Municipality's success and we look forward to support and continue to offer high quality products and services to Dubai Municipality". "We wish them good luck to achieve their vision to create an excellent city that provides the essence of success and comfort of sustainable living" he added. "We are satisfied with the high quality products and services provided by Unique System and it will be our pleasure to support each other for better future" commented Mr. Mustafa Mohammed Baqer, Head of Hydrographic Survey Team atDubai Municipality.